Raised right here on the beautiful island of Oahu, Siichi has had an affinity and appreciation for artwork since a young age. After moving to California in his early adulthood to become a graphic designer, Siichi eventually stumbled upon Lefty’s Tattoo Company in San Francisco. It was here that Siichi would be taken under the wing of Johnny “Lefty” Kimble, who mentored him in the great art of tattooing; teaching him the importance of “doing it with love.” After nearly a decade in San Francisco tattooing and learning from many of the great artists there, Siichi was ready to return to Oahu to begin building a life for himself on the beautiful island that raised him. Today Siichi proudly tattoos out of Sacred Art Tattoo Waikiki, where his knowledge in a myriad of cultures and tattooing styles can be shared with military, tourists, and locals alike. 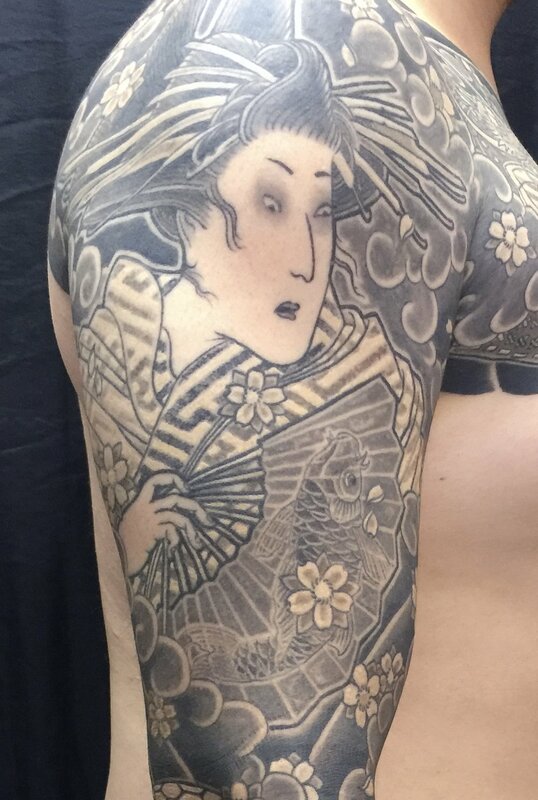 Siichi enjoys every style of tattooing and particularly enjoys working in the Japanese, Lettering, Black and Grey, Traditional Americana, Chicano, and Polynesian tattoo styles. In his spare time, Siichi can be found generally bringing the ruckus, collecting vintage playing cards, and bodysurfing at Sandy Beach. Siichi is forever.